We wanted to update you on our TLC Family of Camps Fall Festival that was held October 16th. We had over 300 families in attendance and it was a great, fun-filled day! We thank all of our families who came out, and we hope those of you who couldn’t make it will join us next year. In the spirit of our STARFISH values program, North Shore Day Camp along with our sister camps, donated $25 for every family who RSVP’d to the event. We ended up raising almost $7,000, which was split between 3 charities (SCOPE, Autism Speaks and Crohn’s & Colitis Foundation). It was a great way to spend a wonderful day with our families while also making a STARFISH Difference in helping others. 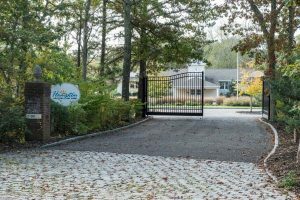 In keeping with this giving and holiday spirit, we’re excited to inform our camp families that Hampton Country Day Camp, our sister camp, has partnered with the East Hampton Food Pantry to serve as their new, temporary location during the off-season months of November thru April. For the past 5+ summers, as part of our “Helping Hands” community service initiative, HCDC families have donated an unbelievable number of items to the Food Pantry in our annual Food Drive. It’s very exciting to be able to build upon our existing relationship and give back to the local community to provide an off-season “home-base” to the Food Pantry which delivers food to 300-400 families weekly in the winter! Check out the Newsday article below for more information!